Every year, when the Vail, Colorado ski areas close in the springtime, our local fly fisherman search for a fly fishing destination within a day’s drive to wet their line for a few days. One of my favorite April and May destinations for the past 30 years has been Wyoming’s North Platte River, specifically, the Grey Reef Tailwater section of water that flows below the Alcova Reservoir north and east towards Casper, WY. For a large, western tail water fishery, with hefty Rainbow Trout that average 18-20 inches, the North Platte’s sees little pressure when compared with Montana’s Big Horn River, Utah’s Green River and New Mexico’s famous San Juan. Most days in spring may only see ten to twenty boats per day float the upper section of river from Alcova, Wyoming to Lusby (seven miles). The State of Wyoming manages the North Platte River below the Grey Reef afterbay dam in Alcova as a “Blue Ribbon” trout fishery using both controlled flushing flows, and fishing restrictions to produce a thriving trout population. In fact, the 90% rainbow fishery had a 2013 estimated fish survey that pegged at least 9,000 trout per mile averaging between 16 and 22 inches in the Grey Reef section of the North Platte. That is a staggering number of large trout. 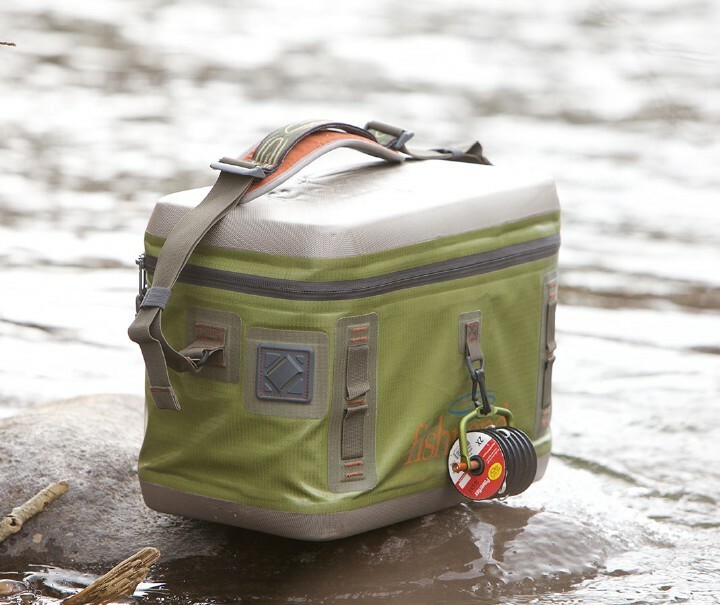 These fish fight hard and there is even larger specimens in the ten pound range. Bonus catches of large cuttbows, cutthroats, hook-jawed browns and even large walleyes are also a possibility. Take the walleyes home for dinner! In early to mid-spring, flows on this tailwater are pretty clear and consistent from March on, but for up to the minute reports that will save you from fishing during a reservoir flush full of weeds and muddy water (usually occurs in May), try the North Platte River Fly Shop in Casper, Wyoming or the Reef Fly Shop in Alcova, Wyoming. Flies, tackle, boat rentals and licenses are available. From Colorado, most fly anglers drive north on Interstate 25 to Casper, it is a 25 mile drive up Wyoming Highway 220 to Alcova. The main boat ramp is located only a quarter of a mile off Wyoming 220 in Alcova. Grey Reef Road or Natrona County 412 is the only access to the main boat ramp. A slightly longer, more scenic off the beaten path route is also available through North Park in Colorado and into Shirley Basin in South-central Wyoming where the upper reaches of the North Platte near Saratoga or the Miracle Mile can also be fished. Several options exist for lodging at the Reef. Basic cabins are available in Alcova for rent, the North Platte Lodge or the Crazy Rainbow offer upper end lodging and dining options on the river. 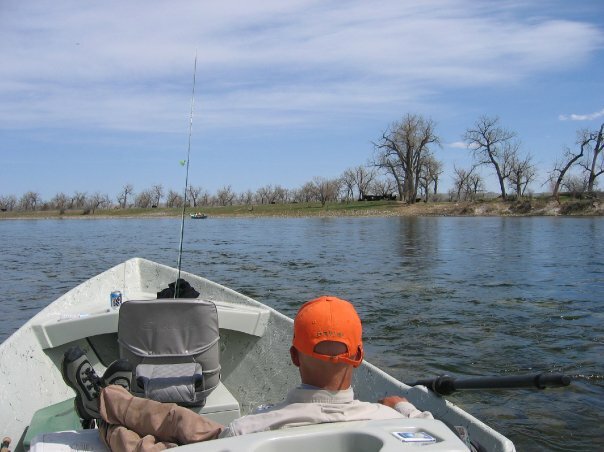 These lodges also offer guided trips and private water on the North Platte to wade fish. Typically, my preference is to stay back in Casper, more dining options are available and most brand name hotels operate in town. Campsites are available at the put-in directly below the dam and boat ramp. In Wyoming you may not touch the bottom of the riverbed if it is private land, float fishing is popular. Red and blue signs mark private and public sections on this stretch of the North Platte. An improved boat ramp offers easy acces and floating is by far the best and most effective way to access the river even if wade fishing is your preference. Some anglers wade fish all day in the few hundred yards of public water below the dam but other public stretches have no road access. The Reef is an easy albeit usually windy row with a few braids and no big rapids so it can be a good place for novice oarsmen to get some great float fishing in before summer. Lusby is the next boat ramp below Grey Reef dam and is the ideal take out for a long full day. Government Bridge is another boat ramp several miles below Lusby. A few other access points allow anglers fishing opportunities between Government Bridge and Casper. Secret-huge browns are caught right in the town of Casper! Most people will fish a medium action nine foot five weight backed up by a stout fast action six weight fly rod when nymphing or fishing streamers for the North Platte’s trophy trout. Nymphing is the most popular way to catch trout and is done with a nine foot 4X tapered leader a few feet of 4-6X tippet. 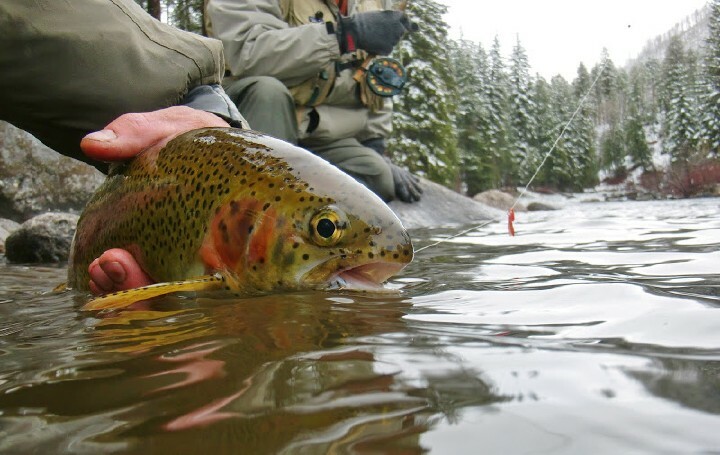 When fishing streamers, use a six or seven weight fly rod and four to 10 feet of 1X or Ox tippet. Less tippet for a sinking line, more tippet with a floating line. 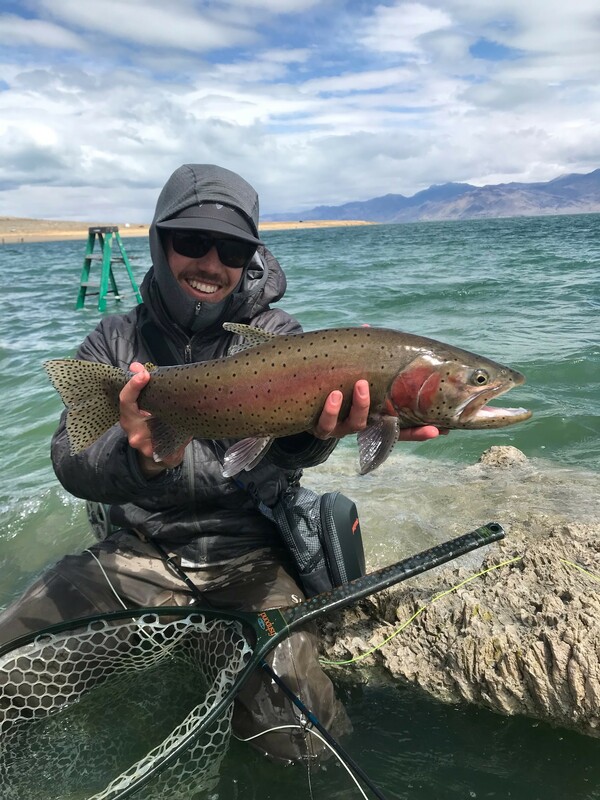 Although midges and BWOs may offer limited dry fly opportunities in April, anglers looking for good dry fly fishing may be disappointed and should wait for hopper season on Grey Reef. The wind is a constant factor here so rods that can punch casts in tough conditions will be appreciated. Leave the noodly dry fly rods at home. Nymphing with two flies is the norm in the spring and tempting trout with orange scuds, San Juan worms, eggs, midge larva and emergers is most all you will need. Leeches, dead drifted woolly buggers, cranefly larvae and crayfish patterns will also catch fish. Local guides like to nymph pine squirrel leeches and it can be deadly. The miracle nymph is a great fly pattern used to mimic a midge emerger and it will fool spring time rainbows. April can produce some nice Beatis (blue wing olive) hatches in size 18 to 20. Barr emergers and small, slim pheasant tails will do the trick for this hatch. On cloudy, windless (rare), spring days you can use a BWO dry fly or Parachute Adams dry to fool some pretty hefty fish. Mark Boname, the owner of the Platte River Fly Shop in Casper markets the bionic midge that is an extremely effective midge emerger. His vanilla, maroon and brown “bite me buggers” are the most effective streamer patterns on the river. Raingear and warm layers are a must here. Count yourself lucky if you get to fish on a bluebird day but truthfully, the trout eat better in early Spring during foul weather. Come prepared with warm clothes, and plenty of food for energy. Remember spring time at 6000 feet above sea level in a high plains desert can mean short sleeves on some sunny days but more often than not, it means cold weather, so come prepared for spring snow or rain and wind. Wind is common on the reef, expect it, embrace it and you will have fun. Go catch fish! For more details on fly fishing Grey Reef on the North Platte River check in with the crew at Vail Valley Anglers. We’ll be heading there soon!